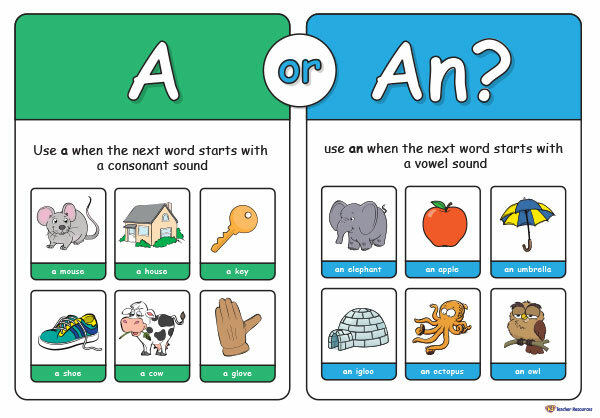 A colourful poster to display in the classroom when learning about how and when to use A and An. Ideal to use in the classroom when learning about the grammar convention of using A or An. Select and download the poster (full colour or black and white). Display in your classroom or use as a desk prompt when working in a small group. What comes next?- Ask the children to create their own A or An poster. Thanks for letting us know about this resource. It has now been fixed and is ready to go!